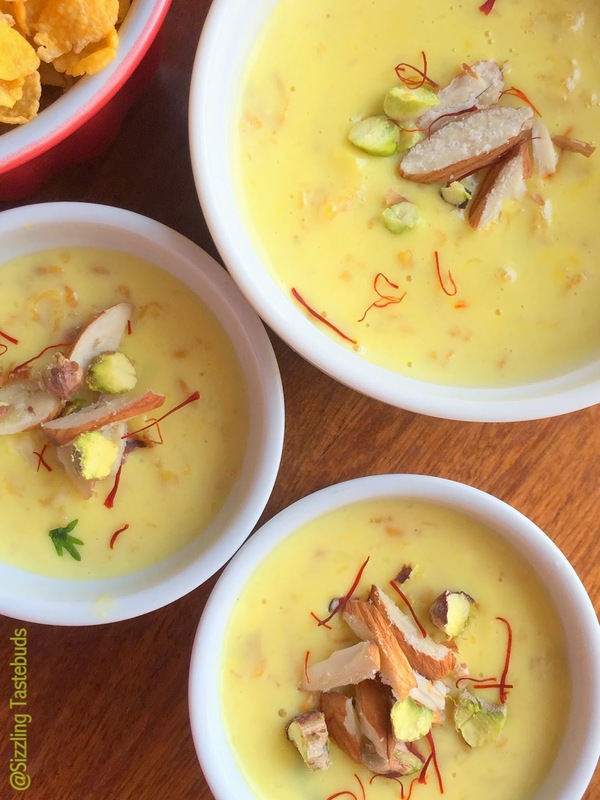 Sweet Rabri is a sweet, condensed milk based dish made by boiling the milk on low heat for a long time until it becomes dense and changes its color slightly upon thickening. Sugar, spices and nuts are added to it to give it flavor. It is chilled and served as dessert. When I chanced upon my bookmarks, I saw one by Cinnamon and Chillies which was bookmarked several months ago. This recipe was too tempting to pass up, and I HAD to make it. When I said I HAD to, I mean I literally got out of my study table, where apparently I was supposed to study for my exams (you know the drill right :-))), but the picture I saw in the morning kept calling out to me. I made one tweak here, and it was ready,right within an hour of slaving over the stove (yes, Rabri is time consuming but worth all the effort). 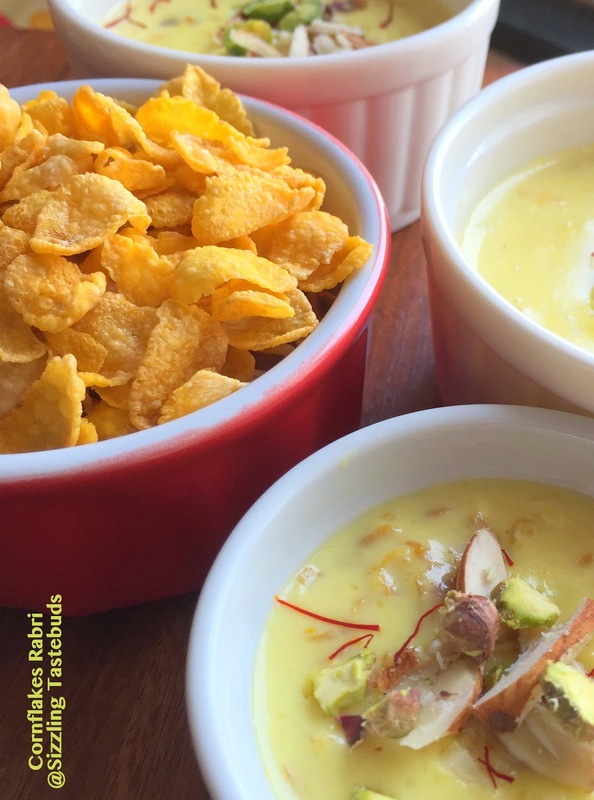 I am partial to milk-based sweets like Payasam (Kheer), Rasmalai and the like. And getting top marks from mom who ate this was the crowning glory. The husband doesn't care too much for sweets (unless its 99% cocoa bitter chocolate) so we happily indulged :-) Make this ahead for parties / potlucks and get togethers - those single serve portions are mess free as well as look cute on any occasion. In a non stick / heavy duty pan, Heat milk on a very low flame, and do not let it boil up. 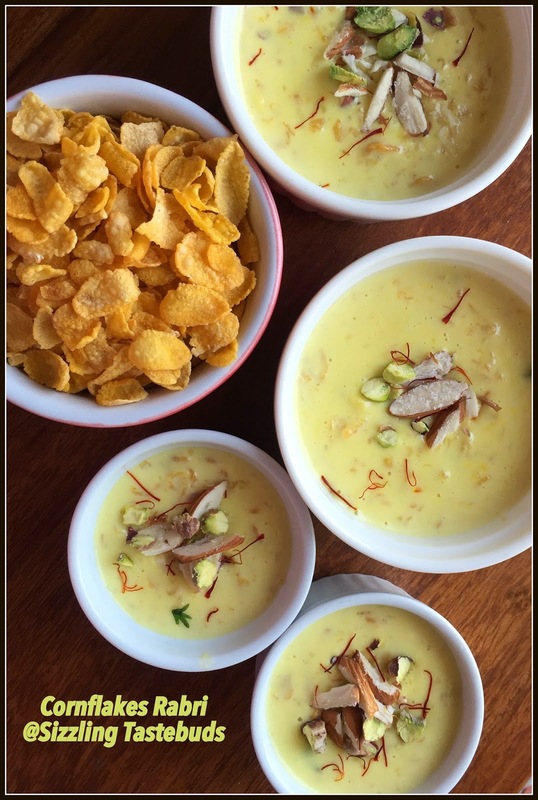 Soak saffron strands in 1 TBSP warm milk for 5 mins, add this to the pan. After 10 mins, when it comes to a smaller boil, keep scraping down the cream formed on the sides and top. 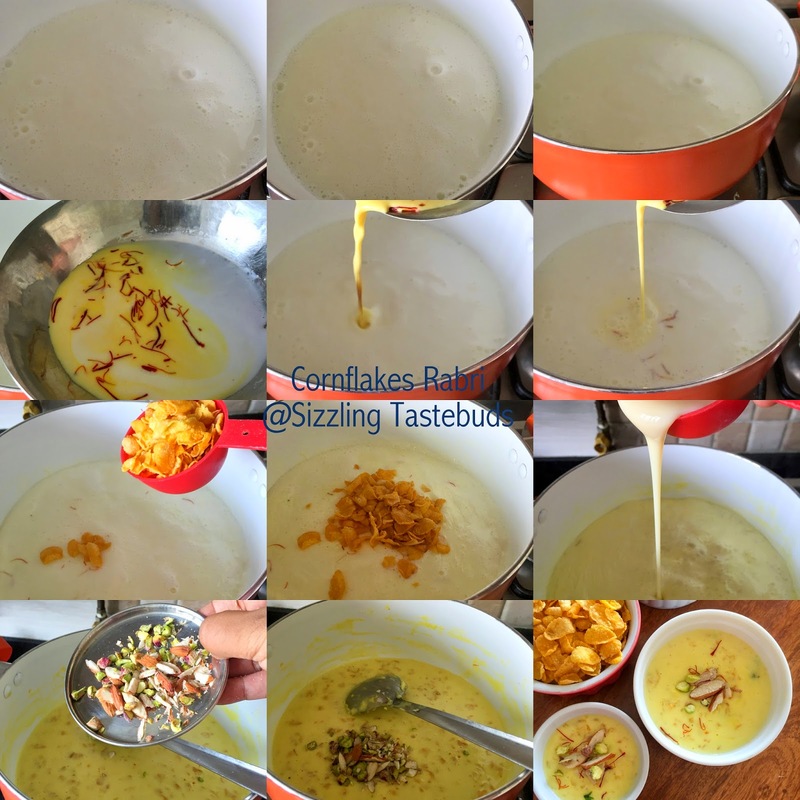 Now add crushed cornflakes, stir and let it cook till it softens, the rabri would start thickening slightly now. After 5-7 mins, add the condensed milk (or powdered sugar) and stir well. You can check for sweetness and adjust accordingly. Keep scraping down the cream and mix it with the now boiling milk. Then add chopped nuts and cardamom powder, mix well. When it consierablly thick (it thickens quite a bit on cooling), take it off the fire and set in individual ramekins. Top with nuts if desired. Chill for atleast 45 mins - 60 mins. Serve. 1) You can add a dash of rose essence to make it richer. 2) Use fresh cornflakes for best results. Beetroot (or beet as is popularly known locally) is a rich source of antioxidants and practically needs no introduction. I usually make poriyal (stir fry), peanut-salad, cutlet or even mini burgers with this root vegetable. 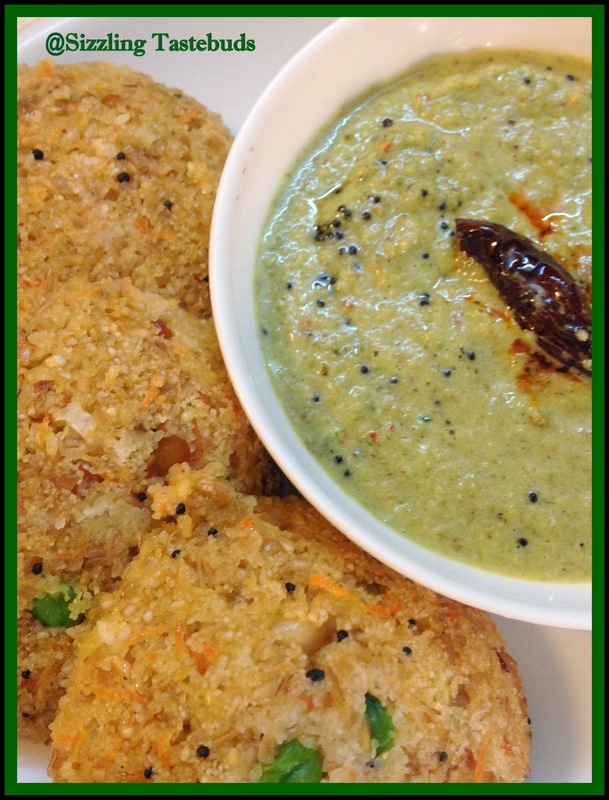 Today is a vegan chutney / dip thats delicious to go with your Idli / Dosa/ Pongal / Paratha. Even tastes yum with Rasam and rice. Linking to bookmarked recipes under BM 50. Keeps for 1-2 days under refrigeration. Wash, peel and slice the beetroot into thin strips using a mandolin slicer (you can chop them into chunks but sauteeing sliced strips is far easier). In a pan, heat oil, saute urad dal and channa dal, red chillies till golden brown (about 2-3 mins), remove to a plate. Add beetroot, garlic (if using), tamarind and saute till raw smell disappears (about 3-4 mins on low/ medium heat). Remove. Cool and grind with coconut, salt to a smooth thick paste. Adjust salt and seasonings. Prepare tempering with the ingredients, top onto chutney and serve immediately. Samba wheat or cracked wheat is more nutritious than ordinary wheat or even wheat flour. Its high fibre content makes it an ideal option for diabetics. Samba Wheat is alternatively called Lapsi in some recipes , but I personally feel samba wheat is harder and more coarse and gritty. You can make Upma, payasam or bisibelebhath too out of this. But ideally, I would clear out of the payasam option for diabetics. (As a diabetic if you are to avoid sweets, whats the point of adding external sweet and trying to call it healthy !!). 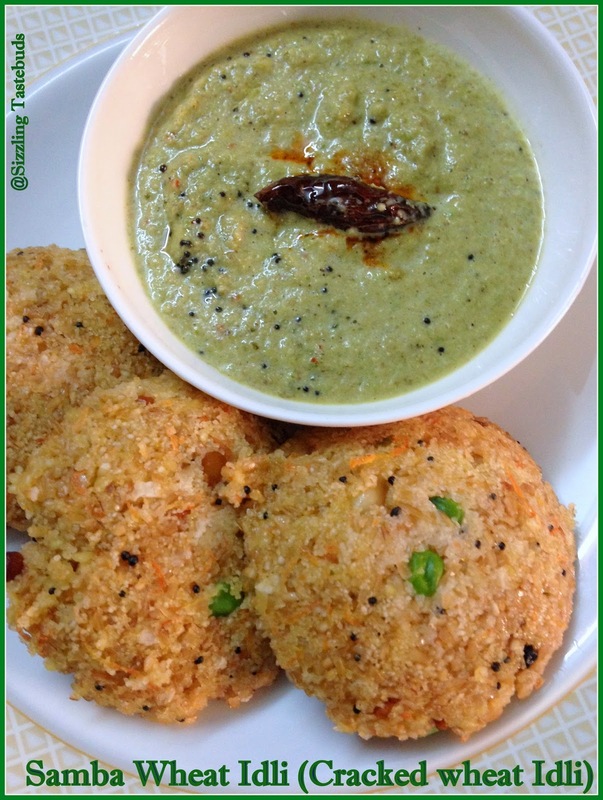 Anyway, this Idli makes for a filling and healthy breakfast or supper option. I saw this recipe on television and tweaked the recipe according to family preferences. The taste takes getting used to, but we enjoyed it a lot even on the first try and it features regularly on the breakfast menu. Do try it out and let me know how you and your family liked it. In a pan, dry roast the wheat for 1-2 mins till it gets a nutty aroma , transfer to plate. when cool, add whisked yoghurt, salt. keep aside. Just before cooking, add a pinch of cooking soda and ladle out this mixture onto greased idli plates. Steam for 15 mins (this takes slightly longer than the usual Idli or Rava Idli). Serve with any chutney or sambhar. Curd rules summer. 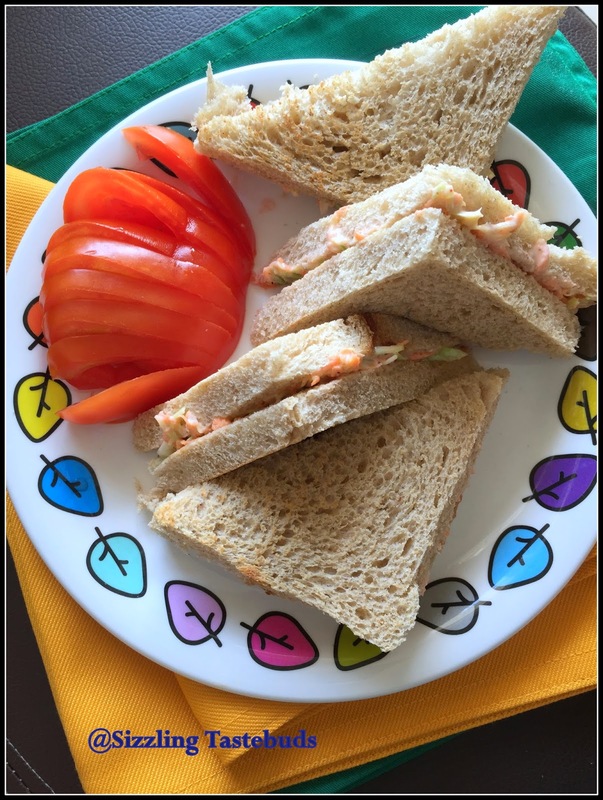 So you have seen in my previous posts this week : Dry fruits Lassi & Sprouts dahi Batata Puri .Today's sandwich is a popular favourite with me and kiddo : we love to munch them anytime. Easy to make and serve, this is also a popular party treat. You cant really go wrong with hung curd and carrot : two of my fav ingredients. Hung Curd is a versatile ingredient to use, and we make these Hung Curd Canapes or these Cucumber or Lentil (Masoor) Salad often at home with Hung Curd. So, make it anytime and enjoy.. Hope you enjoyed the Beat the heat series with Dry fruits Lassi, and today's Hung Curd Carrot Sandwich for BM # 50. Sending this to BM # 50 and Nisha who's hosting Summer Coolers -Beat the heat Kids Delight event. Trim the slices of the bread and keep ready buttering them one side up. Mix the rest of the ingredients, if making immediately add salt, else salt just before making sandwiches. Cut into half or triangles and serve immediately. 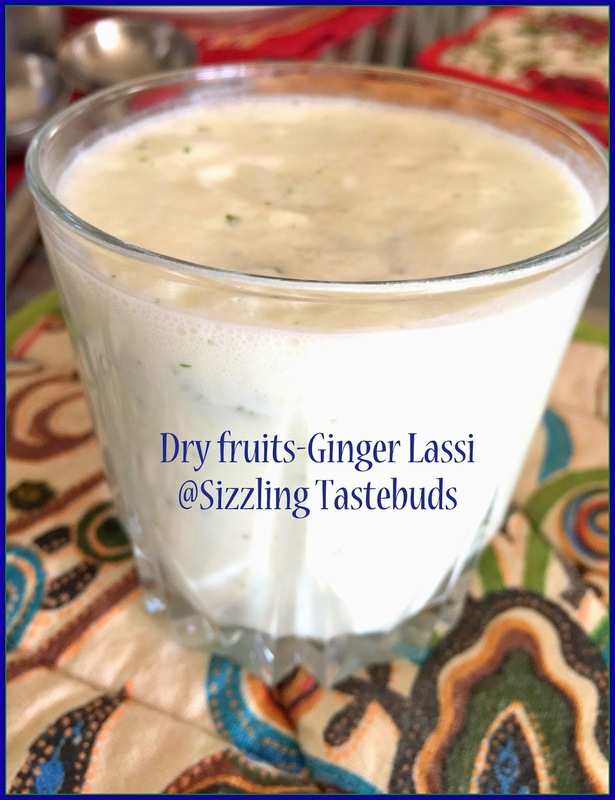 After Dry fruits - Ginger Lassi, its time for another lip smacking summer dish using yoghurt. Yoghurt being a natural coolant, its used in most summer meals like morkozhambu (yoghurt curry with veggies), Kadhi (a different kind of yoghurt curry with gram flour), Raita, Pachadi. Chaat is always welcome at home, so we made this easy to make and nutritious Sprouts Dahi Puri. 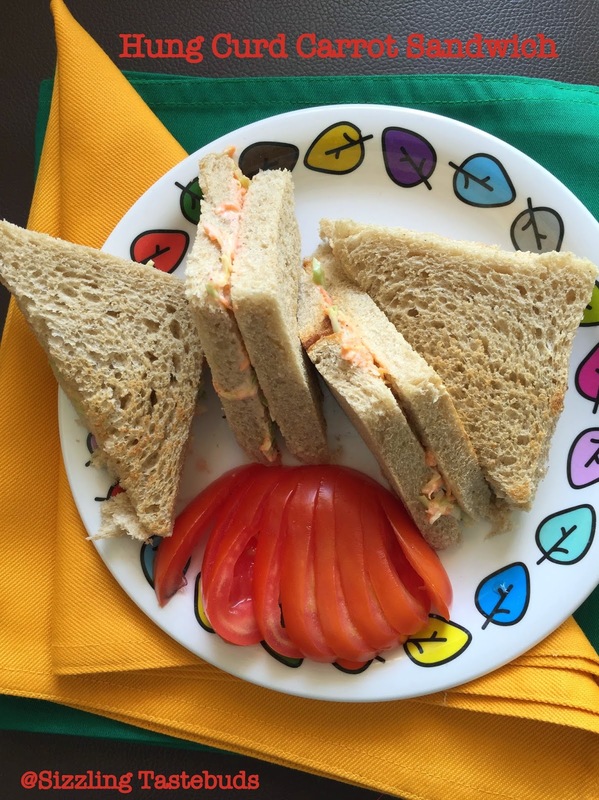 Requires very little time and ingredients, so we enjoyed it for a quick after school snack.. Pep it up with Green chat ki chutney, Tamarind chutney and Red chutney and you have a winner. Sending this to BM # 50 and Nisha who's hosting Summer Coolers -Beat the heat Kids Delight event. Boil potato and make it fork tender , blanch sprouts with a pinch of salt for 5 mins, drain. Beat yoghurt wit a pinch of salt and chaat masala. Mix the mashed potato, sprouts, salt, red chilli, powder, chutneys, chaat masala with a fork. Arrange the pani puri puris (dry) on a plate, stuff the potato - sprouts mixture into them. This was a bouncer when the H made it one sultry Sunday noon when the mercury had hit the 40s (deg C) and we all needed a cooler. Like I mentioned it my earlier posts on sugarfree mocktails, the dear husband is the go-to person for any unusual mocktail or beverage at home. So, we slurped on glass after glass and the cool comfort is just perfect for those summer noon / evenings when a glass of these health drinks are far better than the commercial colas. 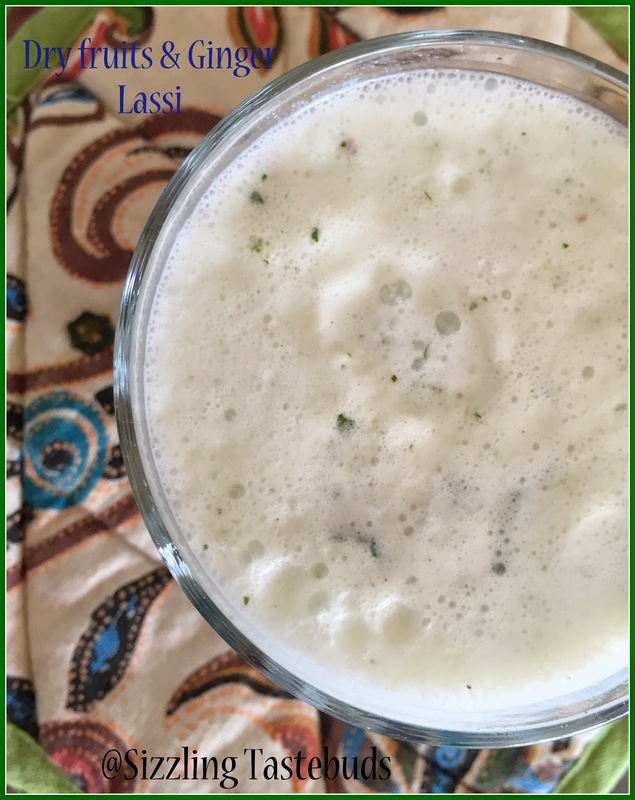 So, make a huge batch of this dry fruits - ginger lassi, and enjoy the summer days. Sending this to Week 3 Day 1 of BM # 50 and also to Nisha who's hosting Summer Coolers -Beat the heat Kids Delight event. Check for salt and spices and serve immediately. 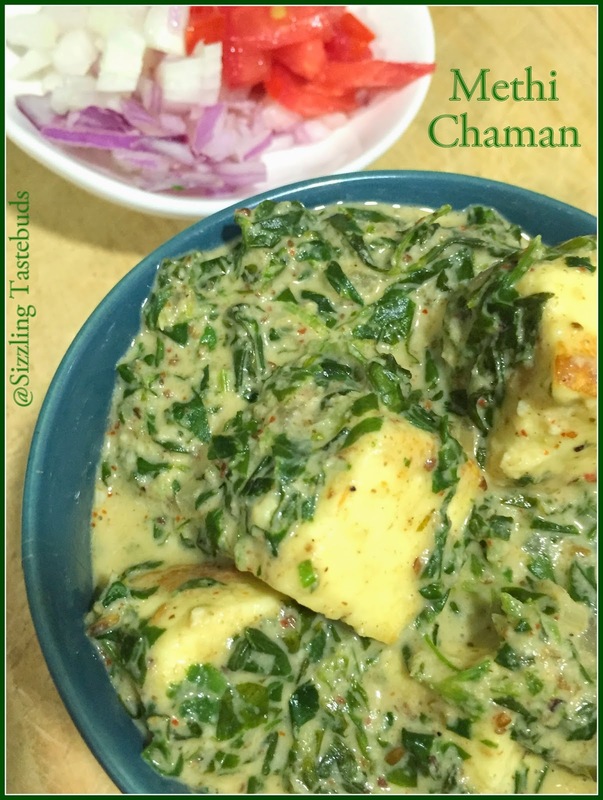 Methi Chaman, and a poetry about food ! Sending this a tad late to my Methi (fenugreek leaves) series of BM # 51. 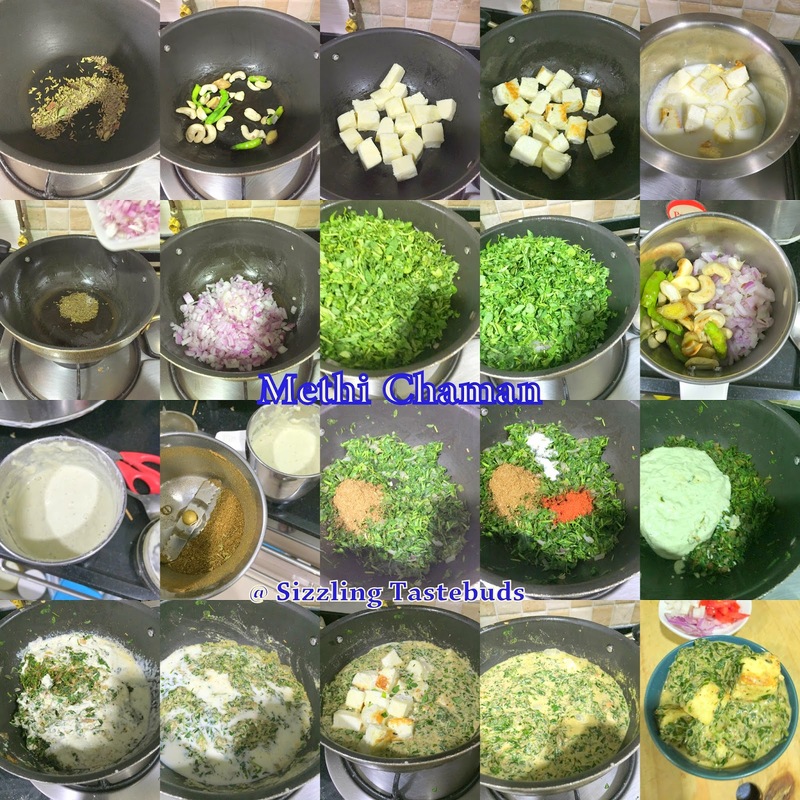 Hope you liked the series with Low fat Methi Malai Matar, Masala Methi dal. Wash, pick and chop methi leaves finely. Dry roast, cool and powder Set 2 ingredients separately. In a pan, lightly roast in a tsp of oil set 1 ingredients and grind to a paste with little water. In the same pan, clear all ingredients, add in the remaining oil, fry the paneer cubes till slightly golden brown, and soak them in water / milk for 10 mins. In the remaining oil, saute methi leaves with a pinch of salt and sugar till wilted (about 10 mins). Now add the spice powder , red chilli powder and saute well. check for salt and tip in the ground paste and milk and mix them together. Let it come to a light simmer on very low heat (be on a constant watch coz milk can burn). Tip in the paneer cubes (draining the water) and lightly toss them taking care not to break the cubes. There are some dishes you detest at first taste, and then they grow on you. Today's is one such which I literally hated it for the first couple of times, till gradually grew on me. 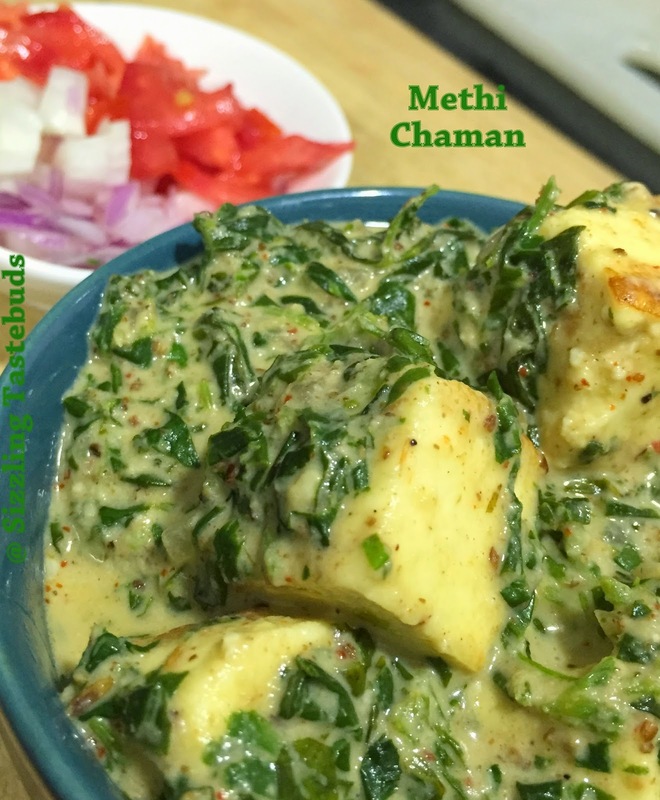 Like yesterday's post on Methi Matar Malai, this too was accepted when I made some changes to the original recipe and served it to the kiddos and family. It goes well with steamed rice. Wash, pick, sort and chop fenugreek finely. Pressure cook these leaves with toor dal for 3 whistles with a pinch of turmeric , tomato, onion and green chillies till done. Mash them up a bit once this is cooked.